Home » Menstrual Cup FAQs » Is the Diva Cup Good for Beginners? Is the Diva Cup Good for Beginners? Is the Diva Cup good for beginners to menstrual cups? Beginners: Is the Diva Cup the One? The Diva Cup is often the first menstrual cup that people start with. It’s the most popular cup in the world for good reason! It’s made from top-quality medical grade silicone in Canada and just seems to work for most people. Is it a good one for beginners? The Diva Cup is readily available through Amazon in most countries around the world. And if there is going to be one cup on drugstore shelves, it’s likely to be this one. This makes it a good choice for beginners because it should be very easy to find. There are two sizes of Diva Cup: small and large. Both of them hold 30 ml, and are 70 mm long. The only difference is the diameter of the cup. In terms of sizing, this cup should work for most people. The small is great for people who haven’t given birth vaginally, while the large is recommended for people who have. If you have a low cervix, you can trim the stem to the desired length quite easily. The stiffness of a menstrual cup is the most important factor in deciding whether or not a menstrual cup will work for a beginner. In general, a stiffer cup is better than a soft cup for your first one. This is because it’ll pop open more easily when you insert it. A softer menstrual cup can be quite comfortable, but you may have to fiddle around with it a bit to make it work. What about the Diva Cup? It’s considered to have an average firmness. This means that it’s a nice balance between being easy to insert, while also feeling quite comfortable. The Diva Cup is one of the more expensive cups out there. You can find some cheap ones on Amazon for half or even one third the price. Why not buy one of those instead? There are two main reasons. The first reason why you should stick with something like the Diva Cup is because it’s well designed, and easy to use. Many of the cheap cups are so flimsy that it’s extremely difficult to get them to open. The other reason is the cheaper menstrual cups are sometimes made from sub-par materials that are not medical grade. 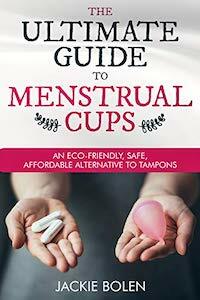 Keep in mind that a menstrual cup is something that you put INSIDE your body. Doesn’t it make sense to get the best quality materials you can? Does the Divacup make a good choice for beginners? Yes! It’s easy to find in stores or online, has two sizes that will work well for most people, is a nice average firmness and is also reasonably priced for such a high quality product. Leave a comment below and let us know your thoughts about whether or not the Diva Cup is the one for you.